InSinkErator® Double Bowl Connector Fitting Kit. For use with all Food Waste disposers. To assist with fitting the Food Waste Disposer to a double bowl sink. InSinkErator® Square Waste Adaptor. For use with sinks with square waste. Measurement of waste 115mm x 115mm. 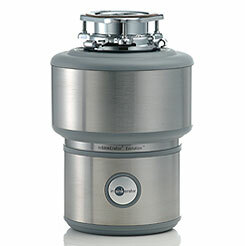 Fits all InSinkErator Food Waste Disposers. 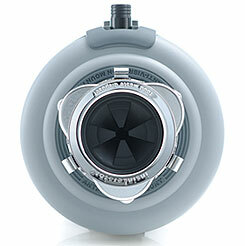 InSinkErator® Airswitch Button and Tube Kit. No electrical component. 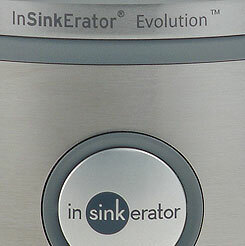 InSinkErator Airswitch provides a safe and easy way to turn the disposer on and off. A simple push-button switch sends an air pulse through a thin plastic tube to the disposer switch unit. This activates/deactivates the disposer and eliminates the need for a separate wall switch. For use with Models 55+, 56, 65+, 66, Evolution 100 and Evolution 200. Available in Chrome only. InSinkErator® Sink Baffle / Mounting Gasket / Flange. The Baffle causes running water to pool in the sink opening resulting in a thin "water dam". 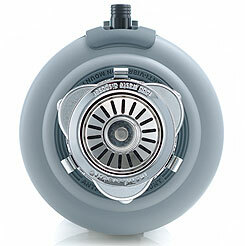 This acts as a cap on the disposer reducing the amount of noise that comes up through the sink opening, particularly with the Evolution 100 and 200.For use with models 65+, 66, Evolution 100 and Evolution 200. 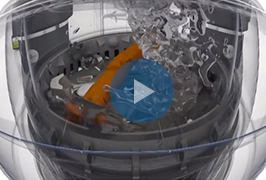 It is removable in all three models to assist with cleaning. Fits into top of sink. 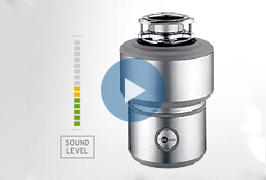 InSinkErator® Extended Mounting Flange / Collar. Suitable for a sink with a thinckness of 18mm plus. Use with all food waste disposers. InSinkErator® Chrome Basketwaste / Plug. The basket helps prevent cutlery and non food waste items from falling into the disposer while adding to quiet operation. It also acts as a plug to capture water in the sink and strain food particles. To use with models 65+, 66, Evolution 100 and Evolution 200.